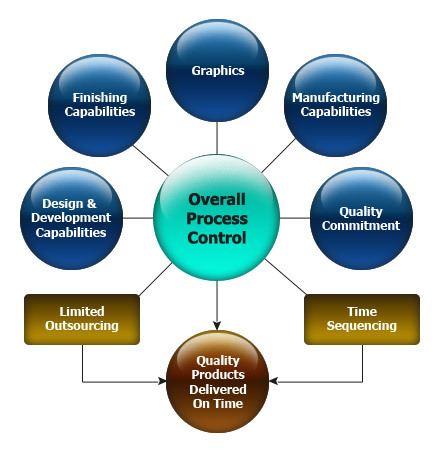 What is Overall Process control? It means we deliver top quality product to you on time! How? Almost all of our manufacturing processes, including surface finishing, are accomplished in house. We control the schedule for time sequencing of your products from beginning to end. This approach is unique and results in the best lead times in the industry!